Fukui Shimbun published an article about the city of Awara, Fukui Prefecture naming a cherry tree lined street “Arata-zaka” after Wataya Arata, a character from Chihayafuru associated with the location. The nickname was publicly announced and a ceremony unveiling a stone marker held on March 31. @lidges made a pilgrimage to Kyoto for film Laidbackers. 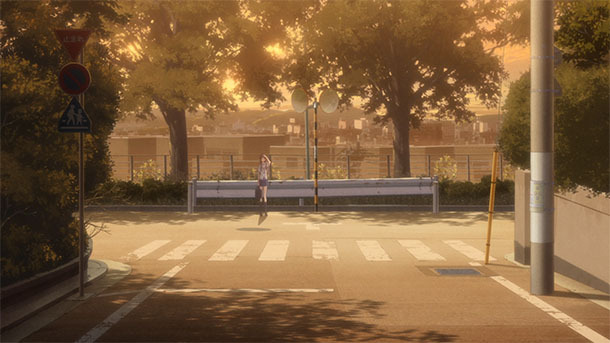 @flyingbird1124 made a cherry blossom pilgrimage to Denenchōfu, Ōta Ward, Tokyo Metropolis for Fruits Basket (2019) Episode 1. @rica0867 made a pilgrimage to Kamakura, Kanagawa Prefecture for Midara na Ao-chan wa Benkyō ga Dekinai Episode 1. @teo_imperial made a cherry blossom pilgrimage to Asukayama Park in Ōji, Kita Ward; and Edogawa Park in Sekiguchi, Bunkyō Ward (both Tokyo Metropolis) for BanG Dream! @626shin updated a previous pilgrimage with cherry blossom photos from Nagasaki City, Nagasaki Prefecture for Irozuku Sekai no Ashita kara Episode 1. He published a new pilgrimage, also including blossoms, to Nagasaki for Episode 2 and Episode 3. @fragments_sue made a pilgrimage (post 2, post 3) to Kamakura, Fujisawa and Yokohama, Kanagawa Prefecture for Seishun Buta Yarō wa Bunny Girl-senpai no Yume o Minai. @teo_imperial made a cherry blossom pilgrimage to Hannō, Saitama Prefecture for Yama no Susume Third Season. @offtama made a cherry blossom pilgrimage to Uji, Kyoto Prefecture for Hibike! Euphonium. @Bf109K1 made a cherry blossom pilgrimage to Denenchōfu-honchō, Ōta Ward, Tokyo Metropolis for Clannad.